Green walls and facades are great examples of vertical gardens, but not all vertical gardens need to hang off the side of a building. Vertical gardens can also be free-standing – providing an alternative to a ground-based garden or as an enhancement to one. Vertical garden frames help to make this happen. 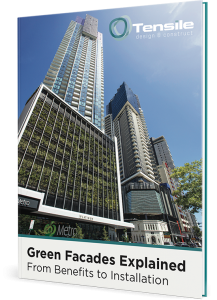 The same stainless-steel materials used for green facades on buildings can be configured to create vertical frames or trellises for climbing plants, or support structures for hanging plants or planter boxes. Frames can also be structured to extend overhead, offering a garden experience that encloses the visitor, providing shade, dappled light and a calming restful environment. Robustness to withstand natural elements and forces. Greater longevity than either timber or plastic, enabling the structure to last for many years. With the material being virtually maintenance-free, the focus can be on care of the plants rather than the supporting structure. Despite their strength, stainless-steel cables can be configured to appear as light and unobtrusive as possible, so that the plants remain the star of the installation. 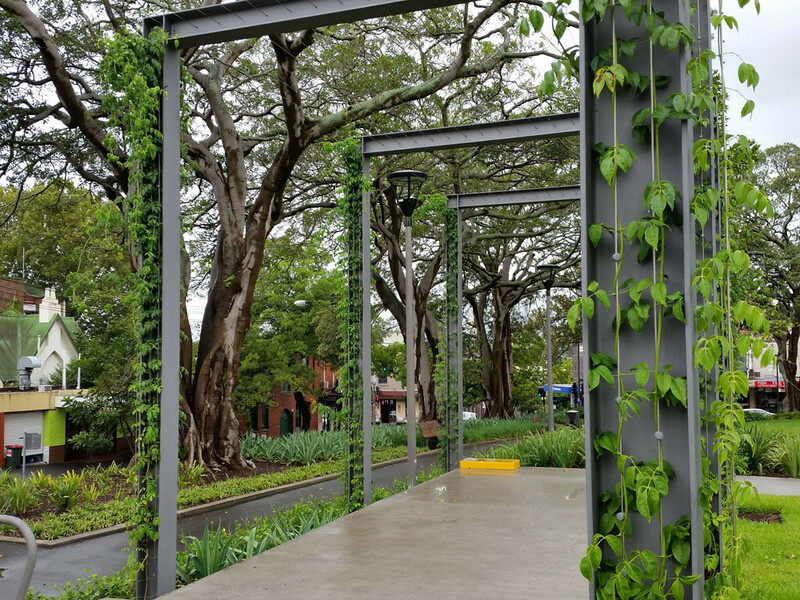 In this public park, steel-frame construction was utilised for climbing plants, providing a large-scale pergola-like experience for visitors. Jakob cables were used to provide the longevity and robustness expected of the structure. The cables have been specially configured to suit the various species of plant in the garden. This park really lives up to its namesake! It was created as a ‘refuge’ away from the hustle and bustle of the big city. 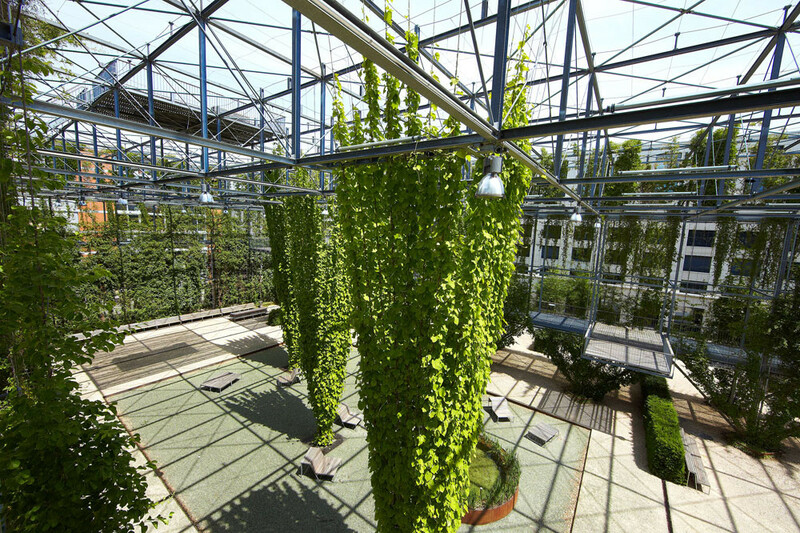 Over 400 metres of stainless-steel cables were used to create the trellises for the plants. These were designed to appear unobtrusive and ensure the plants are on display rather than the structure. If you have a project in mind that would benefit from the use of vertical garden frames, don’t hesitate to get in touch with our team.